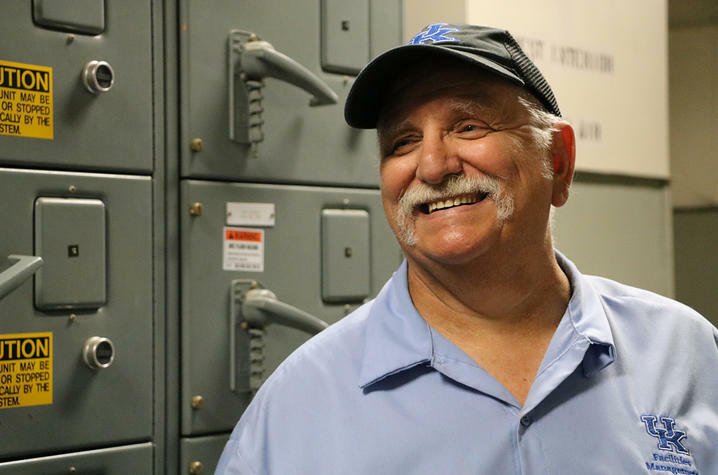 LEXINGTON, Ky. (June 28, 2018) – A lifelong resident of Winchester, Kentucky, Linville Palmer is now in his 43rd year as a member of the University of Kentucky’s Facilities Management team. 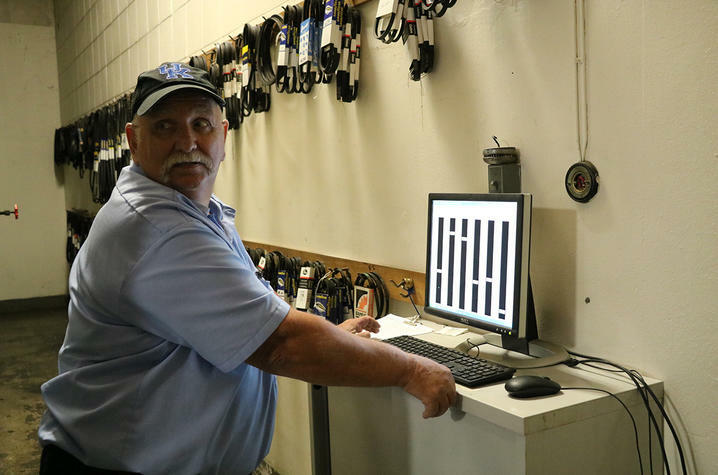 “I started working at UK right after graduating from George Rogers Clark High School and have been here ever since,” Palmer said. 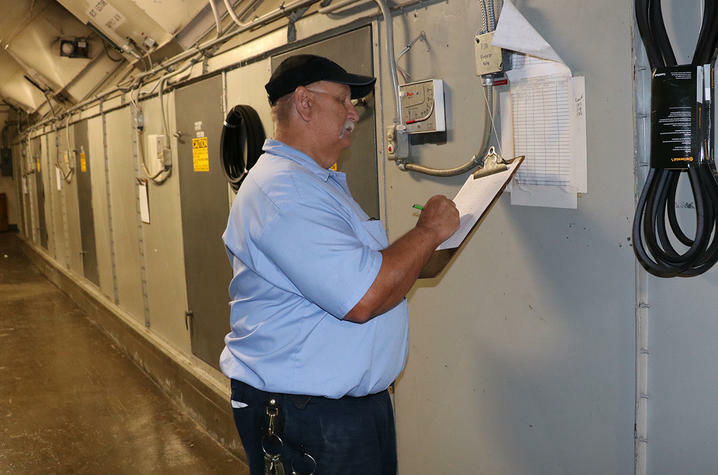 As a building operator, Palmer is among the hundreds of people who take care of the entire physical plant of the campus 24 hours a day, seven days a week, 365 days a year. 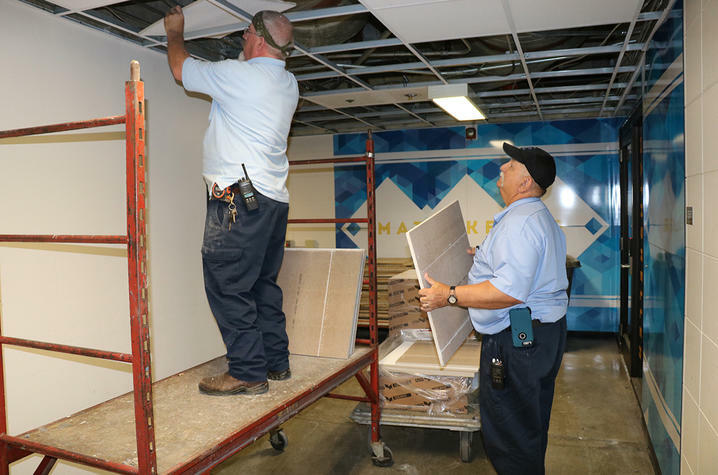 The people of UK Facilities Management's Physical Plant Division make sure campus buildings are clean and operating properly, that classrooms are ready for students, heat and air conditioning are working, the grass is cut, and on and on. It is unimaginable to think about what the campus would be like without the work of Palmer and his colleagues. When asked to talk about who has mentored him along the way, Palmer speaks glowingly of several individuals, including Jim Hall, Lonnie Potter, and the recently retired Fred Wells. “I’ve been so fortunate to learn from so many good people during my time here,” Palmer said. Through his nearly five decades at the university, Palmer has served under five presidents – Otis Singletary, David Roselle, Charles Wethington, Lee Todd, and Eli Capilouto. Among the favorite buildings he has worked in over the years, he said Memorial Coliseum is high on his list. As for Facilities Management, he says it's a family. "Everybody just jumps in and does what they've got to do."